We all dream of that lovely day when our fairytale finally happens, when at long last we will forever be united with our one true love. Once we get that chance of a lifetime, we will always want to go back to that moment and relive it. There’s no better way to do that than to look at your wedding photographs. They are among the most important treasures a couple can ever have. As such, it is of great importance to choose wisely whose hands you are willing to entrust to capture and immortalize that one glorious day. I can’t emphasize enough the weight of this matter. The great responsibility that rests in the hands and camera of the wedding photographer cannot be undermined. 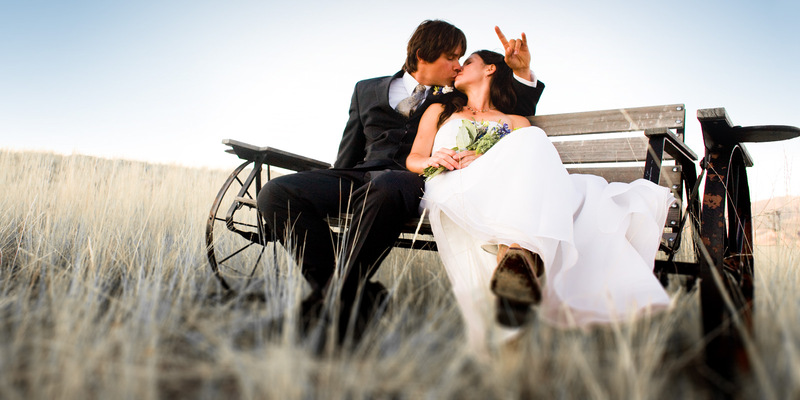 Therefore, choosing your wedding photographer should be done carefully and might take time. It is best for the couple to address this issue very early on in their wedding plans. One should take into consideration that the best photographers can be fully booked even a year in advance especially during peak seasons like the summer months. The best thing to do is to start looking for one really early. So where do you start? A little detective work is involved here. Ask around. Ask for referrals from your family, friends, married coworkers, wedding service providers, caterers and wedding planners. If someone did a really great job of photographing a wedding, word must have spread about it. Let’s say that from your excellent detective work, you found a number of recommended photographers. It is necessary to interview more than one photographer. And as you interact and communicate with them, you’ll get an idea on how professional they are. Here are some things you can consider: Does the photographer return calls promptly? Does the photographer treat you with courtesy and respect? Also, you have to take a look at their recent wedding photos, most photographers will be more than willing to show off the great photos they have taken and probably some referrals from previous clients. Be wary of photographers who hesitate to offer you their work or references. You must have a vision of how your wedding photos should be like. The photographer must respect that and give it an utmost priority. State it if they are trying to force you into something they already pre-set. But you must also hear out their opinions as true professionals know what will and won’t work and will be willing to tell you if there’s something amiss in your idea. Effective communication is necessary here so voice out your opinions but be willing to compromise too. Some issues that may be raised include the exclusive right to take pictures at the wedding, which some photographers prefer. This means that family members and friends won’t be able to take any photo during the event. Any concern can be negotiable and must take place before the signing of the contract. Many photographers are willing to discuss changes as long as they are informed of them in advance. Another thing you should discuss, though not included in the contract, is the behavior you expect from the photographer during the wedding. Things like attitude and attire required at the event should be explained to the photographer. Will it be a laid back or a formal affair? It will affect the way the photographer will act and take pictures on your wedding day. Wedding photos can be expensive. In fact, they can take up a big chunk of the wedding budget. Therefore, a couple must find the right balance of cost and quality when they purchase the photos. There are photographers who offer payment plans which may be easier on the pocket. They are usually the ones who are booked months in advance. Most of these plans usually require that the full payment be paid by the wedding date. This issue must also be discussed in the contract and must be settled before the wedding day. Videotaping weddings is really popular these days so you might find many wedding photo studios offering videotaping services. You have to remember though that the wedding photographer won’t be able to videotape and take photos at the same time. So there might be an additional cost in order to cover for a professional video cameraman if you want a video or DVD of the event aside from the wedding photographs offered traditionally. Flexibility when it comes to the couple’s plans for the wedding photos is important. It is not unlikely that unforeseen circumstances may arise during the occasion, things that you and the photographer can’t control. For example, rain might suddenly fall on the wedding day. The flexibility of the photographer will be of great importance as it will allow him to adapt to changes of venue. It will be helpful to anticipate this kind of situation and formulate a plan B ahead of time for the couple’s and photographer’s sake. Many couples prefer having some black and white shots too in order to create a classic feel in the photos. Plus, tuxedos and wedding dresses look exquisite in black and white shots. It is also able to cover up the bad effects of an overcast or pouring rain. Color wedding photos in those conditions look dreary. With black and white, you wouldn’t have to worry about the color of the sky and those raindrops can even add a romantic touch to your photos. The point here is that it’s going to be your big day. The pictures you have of that moment don’t just serve as a documentation of the occasion. They are the testaments of the beginning of your life together. To say that choosing the right wedding photographer is an important matter is an understatement.